If you are an independent firm of accountants with clients working in Norway or employing staff who will be working there, then you will be looking for a cost-effective way to deliver your client’s expectations. Then look no further than Norway-tax.co.uk. We already act for some of the largest accounting firms in the UK, providing the specialist skills and knowledge that they don’t have in-house. We will undertake the work on your behalf, delivering all the information, advice and support that your clients will need. But best of all, we will pass the details to you to allow you to benefit for meeting your clients’ expectations. We can help you at every stage, either by doing all the work as external independent advisers or by helping you to complete the extensive but necessary documentation. We can brand the reports with your logo, provide as much analysis and reporting as you should ever require, and even answer employee queries as if we were part of your staff. We won’t try to steal the clients. Ever. That is a promise that we are bound by through our professional qualifications. In return, we just expect a slightly longer contract period. Our clients range from some very large employers in the oil industry through to personal service companies, who have just won a contract. 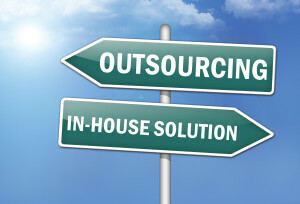 Contact us today to discuss outsourcing to us without the worry. We have recently been consulted by a number of new clients who have UK advisers and Norwegian advisers. Both advisers are correctly applying all the rules in each country. The trouble is, neither advisor was considering the overall picture, meaning that what might be tax efficient in one country actually created a bigger tax liability overall. We see the big picture, and can advise accordingly to maximise the tax savings.